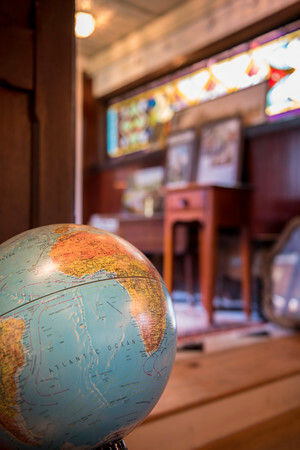 A globe in the sunkin living room at John Archer's Danvers home. He has visited places as exotic as Myanmar or Siberia. "I've visited many countries in the world." Archer said.